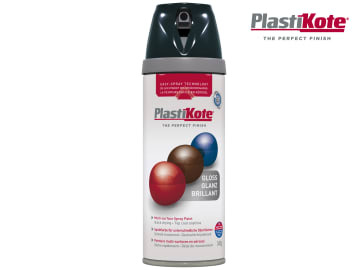 The PlastiKote Twist & Spray Premium Gloss Paint gives an enhanced, consistent coverage. 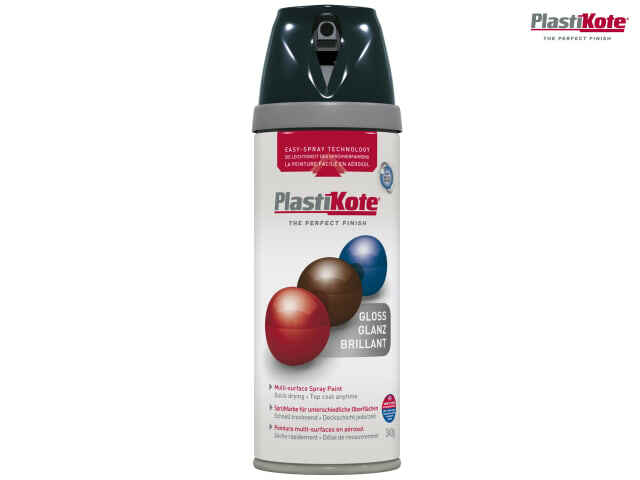 The easy spray technology provides added control to make spray painting easier, faster and cleaner. Each coat is ultra smooth, providing flawless coverage that dries quickly to a tough, durable finish. The paint can be recoated at anytime for simple, faster project completion. The can's large, comfortable finger pad requires 33% less finger pressure than other spray paint cans, and the twist and lock mechanism means there is no separate top to remove or replace after use. Its cap and button design shields the finger from paint for a cleaner spray-painting process.